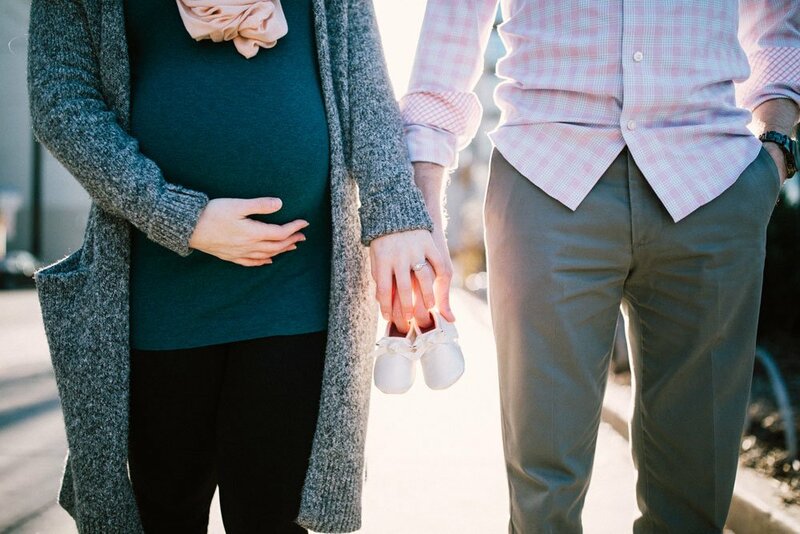 Approximately 10 to 15% of couples are faced with fertility issues. Several lifestyle factors can have a significant impact on fertility. These include age when starting a family, diet, weight, exercise, psychological stress, smoking, recreational and prescription drugs, and alcohol consumption. These behaviors can be modified to limit their impact on your chances to conceive. You can also look into supplements that are showing promise in improving fertility. Inositol is a vitamin-like substance. It is found in most foods but the highest concentrations are found in whole grains and citrus fruits. The most common forms of inositol are Myo-inositol and D-chiro-inositol. Myo-inositol shows the most promise as a dietary supplement for promoting female fertility, and polycystic ovarian syndrome (PCOS). PCOS is a complex hormonal condition that can affect a woman’s ability to have a child. Women with PCOS also struggle with weight, high blood sugar, and undesirable cholesterol and triglyceride levels, concerns which inositol also addresses. The scientific evidence that Myo-inositol improves fertility rates is strong. Multiple studies have shown that the supplement can increase ovulation and fertility rates in women with PCOS. In one study, supplementation of inositol at 2,000 mg daily for an average of 35 days resulted in improved fertility and restored regular menstrual cycles. Out of 25 participants, 10 became pregnant. In this double-blind trial that lasted for three months, supplementation of inositol at 2g daily in women with PCOS resulted in improved fertility. Dehydroepiandrosterone (DHEA) is a naturally occurring hormone and it either exerts benefits on its own or can convert into testosterone or estrogen depending on the body’s need. DHEA supplementation has been shown to be effective in improving egg count. In one cohort study, 25 women with low egg count were treated with DHEA supplementation of 75mg before in vitro fertilization for 17 weeks. The outcome was a significant increase in fertilized eggs and embryos. In another double-blind study, researchers found that DHEA supplementation improves egg count for women who respond poorly to IVF treatment, and so increases their chances of falling pregnant. The women in the DHEA group also had a significantly higher live birth rate compared to the control group. Zinc is an essential mineral and trace element that is necessary for a healthy immune system. Poor zinc nutrition may be an important risk factor for low sperm quality and male fertility issues. Studies show that men with fertility problems benefit from zinc supplementation. This study review, published in the Journal of Reproductions & Infertility, evaluated the role of zinc in men’s reproductive health. The reviewers concluded that adequate levels of zinc are needed for men’s health, germination, normal sperm function, and fertilization. This study looked at two groups of men with low sperm count. The group with the lower sperm count increased their testosterone levels and sperm count after treatment with zinc. Nine wives became pregnant, six within three months and three within two months of a second trial. Astaxanthin is a red-pink pigment found in some seafood, and also in the feathers of flamingos and quails. A potent antioxidant, Astaxanthin also has anti-cancer, anti-diabetic and anti-inflammatory properties. Using a double-blind, randomized trial design, scientists investigated Astaxanthin treatment for males with fertility problems. Thirty infertile men and their healthy female partners received conventional treatment plus either 16mg strong antioxidant Astaxanthin per day for three months or placebo. The researchers saw improvements in sperm parameters, like sperm count and motility, and improved fertility in the group who received a strong dosage of Astaxanthin. The scientists said afterward that the results need to be confirmed in a larger trial before Astaxanthin can be recommended as a complementary treatment for men with fertility issues. D-aspartic acid (D-AA) is an amino acid that regulates testosterone synthesis. D-AA shows promise in aiding male fertility. One study looked at the impact of nutritional supplementation of sodium D-aspartate on the improvement of sperm quality in infertile patients and the rate of pregnancies that occurred with their partners. The scientists found that supplementation with D-aspartate significantly increased the concentration and the motility of sperm cells. There was also a significant increase (27%) in the number of pregnancies in the partners of these patients. Sperm motility refers to the ability of sperm to move about. Robust sperm motility is a sign of male fertility. CoQ10 is a vitamin-like compound that acts as an energy promoting agent and antioxidant. It has many health benefits. Preliminary research suggests that CoQ10 is able to increase fertility. In one cohort study, 17 men with low fertility rates received 60mg of CoQ10 for an average of 103 days. The scientists found that supplementation of CoQ10 did not change sperm motility, but noticed significant improvements in fertilization rates. The results of this meta-analysis showed that supplementing infertile men with CoQ10 does not increase pregnancy rates. The same meta-analysis concluded that supplementing with CoQ10 may improve sperm quality. The analysis showed there were statistically significant increases in the following sperm parameters: seminal concentration, sperm concentration, and sperm motility. Research results into supplements that can boost fertility show a lot of promise for men with fertility issues as well as women who struggle to conceive.